If you have recently developed a decrease in your physical mobility, you may be asking yourself: how do I go about getting a handicap parking permit or handicap placard for my vehicle? Below, we explain the differences between a handicap plate, placard and tag, and how to acquire each of them. If you are one of the many Americans who are ready to start applying for a handicap placard, read on to learn which options are right for you. A handicap license plate may be the right choice for you if you own or lease your vehicle and have just one primary vehicle for transportation. License plates are valid as long as your vehicle registration is up to date. 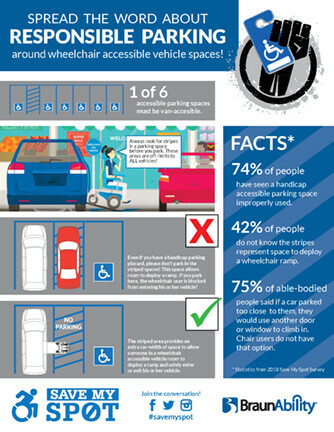 A handicap placard can be moved from one vehicle to another and is generally best suited for a caregiver who transports a person with a physical disability. A handicap tag is a phrase that usually refers to a plate or a sticker that is applied to a plate, but some states use "tags" to mean placards. If your DMV uses the term "disability tag" or "handicap tag," be sure to ask if that means plates or placards. There are two types of handicap placards to apply for: temporary placards and permanent placards. Cannot walk a certain number of feet without stopping to rest. This distance varies by state. Please see state guidelines here. Cannot walk without the assistance of a mobility aid, attendant, or portable oxygen. See a full listing here. Temporary placards are valid for one year. If you still need the placard after one year of use, you will need to re-apply through the DMV. Permanent placardsdon't expire and therefore don't need to be renewedunlessyour doctor certifies that you no longer have a disability requiring your placard. First, locate and click your state on the map to see your state's rules and regulations. As an example, we will click on Indiana, since that's where BraunAbility is located. From this new page, we see a link to Form 42070, Application for Disability Parking Placard or Disability Plate. This form will need to be signed by your doctor before you can complete the application process for a handicap parking permit. There may be a small fee associated with your application depending on where you live, and that fee will need to be paid at the time of your visit. Alternatively, you can apply by mail by sending your application and any additional fees to the address listed on the webpage. Lastly, yet most importantly, make sure to use your handicap parking permit RESPONSIBLY. Though this marker allows you to park legally in handicap spaces, you should avoid van parking spaces if you do not own a wheelchair accessible vehicle or use a mobility aid that requires the safe transfer between a driver or passenger seat to this aid. And under no circumstances should you ever park in striped spaces. These are painted to let you know that this space needs to remain empty in order to best serve the needs of drivers or passengers in wheelchairs or scooters. Without this opening, these people with physical disabilities are left trapped inside or outside of their vehicle. Help us educate the public on striped parking space abuse! Head over to Save My Spot on braunability.com to learn more about BraunAbility's Save My Spot handicap parking space abuse program.